It looks like Chinese smartphone manufacturers have made it a habit to blatantly copy Apple's iPhone series. 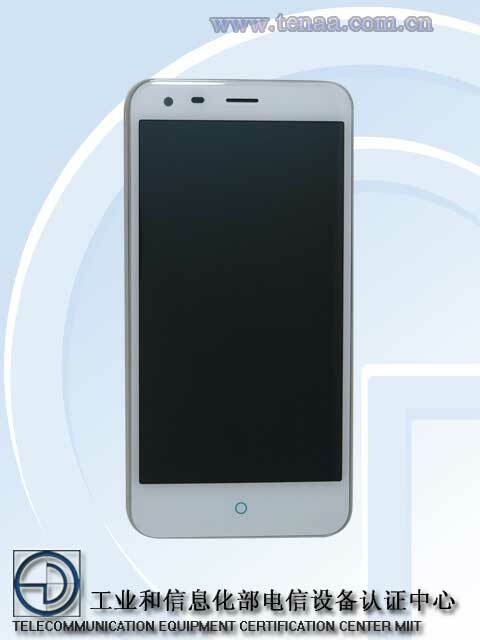 The upcoming Q7 smartphone from China's ZTE bears an uncanny resemblance to the iPhone 6 Plus, up to the point where it would be hard to distinguish one smartphone from the other from a distance. Although iPhone clones are not a new trend in China, more and more major local smartphone manufacturers skip on creating their own smartphone designs and opt for the easy way of copying the design of Apple's smartphones. Back in October Lenovo launched the 5-inch Sisley, a smartphone which looks confusingly similar to the iPhone 6. 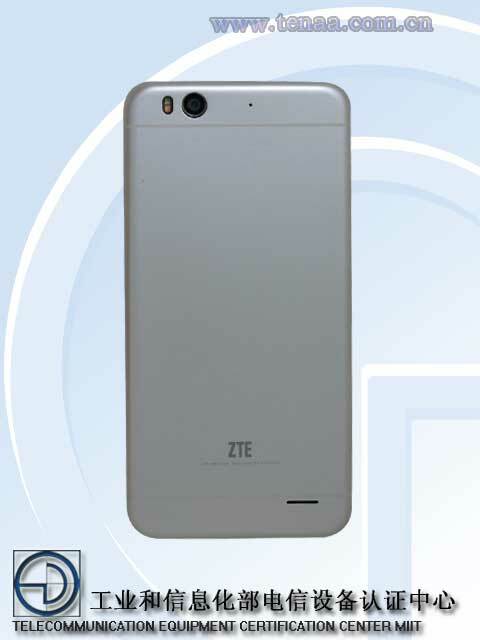 More recently, it was discovered that ZTE is working on an iPhone 6 Plus clone of its own, the currently unofficial ZTE Q7. 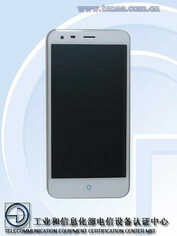 The ZTE Q7 was recently spotted in the database of Chinese regulatory agency TENAA. 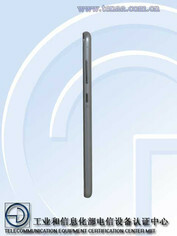 Along with the hardware specifications, the TENAA listing also contains four photos of the ZTE Q7 showing the device from the front, back, and sides. It doesn't take a design expert to point out that the Q7 has a design language that was copied from the iPhone 6 Plus. 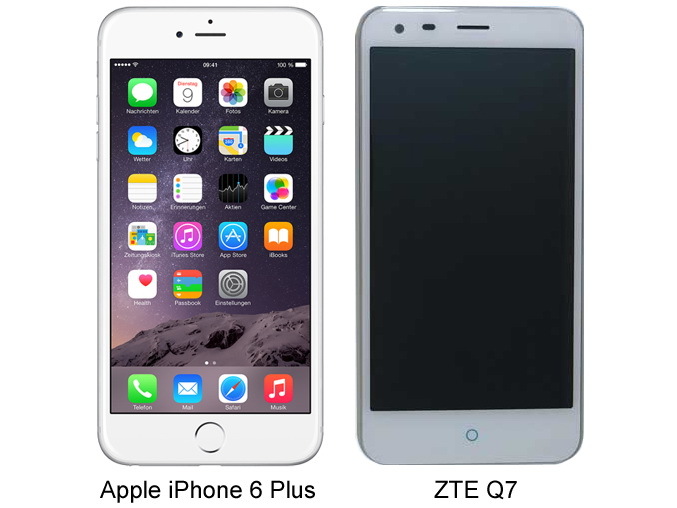 Like the iPhone 6 Plus, the ZTE Q7 comes with a 5.5-inch display, although the resolution was lowered from 1080p to 720p. The dimensions of the two smartphones are also highly similar. 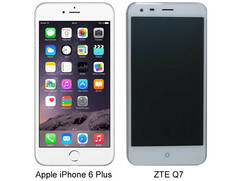 The ZTE Q7 measures 157 x 78 x 7.9mm, a close match to the iPhone 6 Plus dimensions of 158.1 x 77.8 x 7.1 mm. When it comes to the weight of the two handsets, the ZTE Q7 will be a bit lighter, standing at 160 grams compared to the iPhone Plus weight of 172 grams. On the inside, the ZTE Q7 will be very different from the iPhone 6 Plus, as the handset will feature an octa-core chipset from MediaTek, 2GB of RAM, and 16GB of internal storage. Other specs for the ZTE Q7 include an 8MP primary camera, and a 3MP front-facing camera, and Android 4.4.4 KitKat. 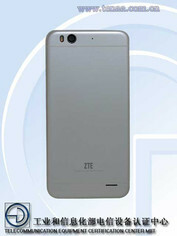 At the moment, we don't have any information regarding the release date or the pricing that ZTE has in mind for the Q7.